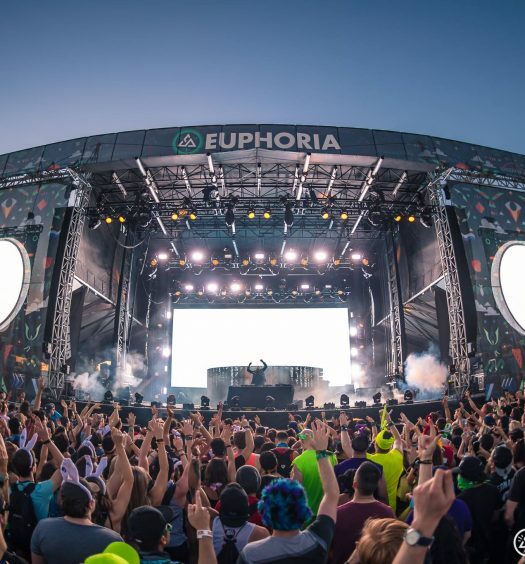 Over a variety of different stages, festival-goers will get to see many of their favorite artists, such as Lady Gaga, Autograf, Anna Lunoe, Empire of the Sun, Crystal Castles, Radiohead, Kendrick Lamar and many more. 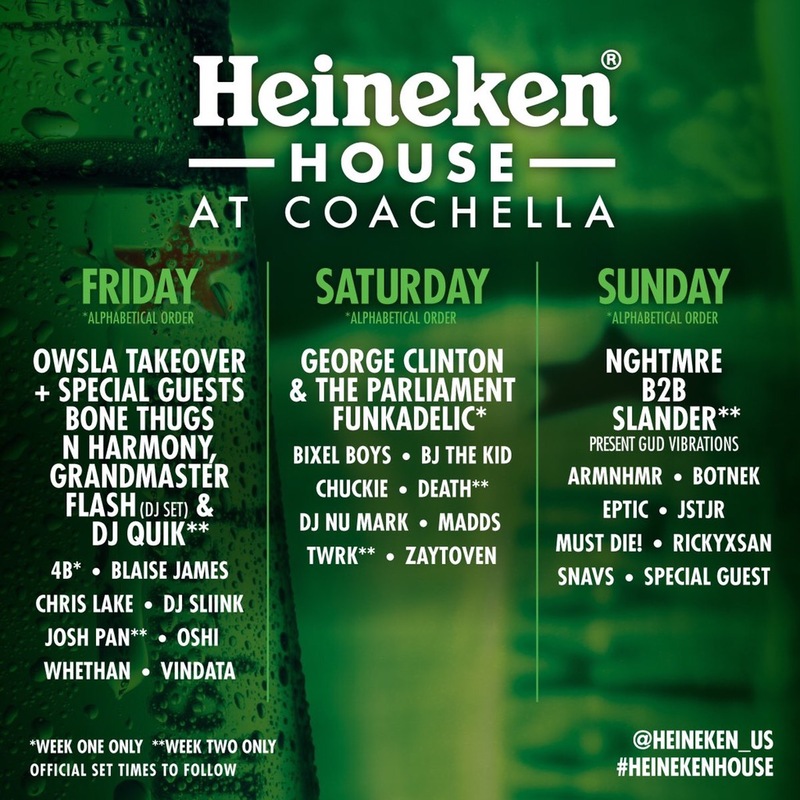 However, it looks like the lineup for Coachella got even more exciting, now that additional artists have been announced to play at the Heineken House. On Friday, OWSLA will take over featuring special guests. Other performers include 4B, Blaise James, Chris Lake, Oshi and more. On Saturday, George Clinton & The Parliament Funkadelic will take over the house with other performances by Chuckie, Bixel Boys, Madds, Zaytoven and more. On Sunday, NGHTMRE and Slander will play a back-to-back set to close out the insane weekend with a massive bang. Botnek, Eptic, JSTJR, a surprise guest and more will also close out the weekend. This ultimate house party will feature DJs, live music and surprise performances from the OG to the IG eras. The Heineken House will feature a custom sustainable dance floor, a blast of icy cold air to cool you down as you dance, a lounge and ice cold Heinekens. There will also be a phone charging station on the patio. 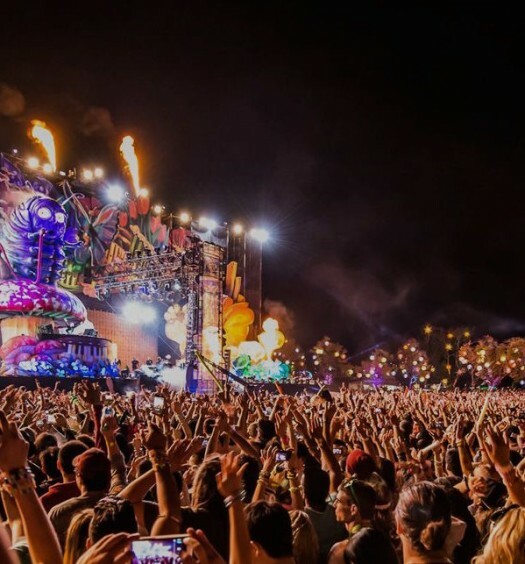 You can capture legendary moments with their custom photo engagements and enter to win priceless festival experiences. The Heineken House is 21+ only. 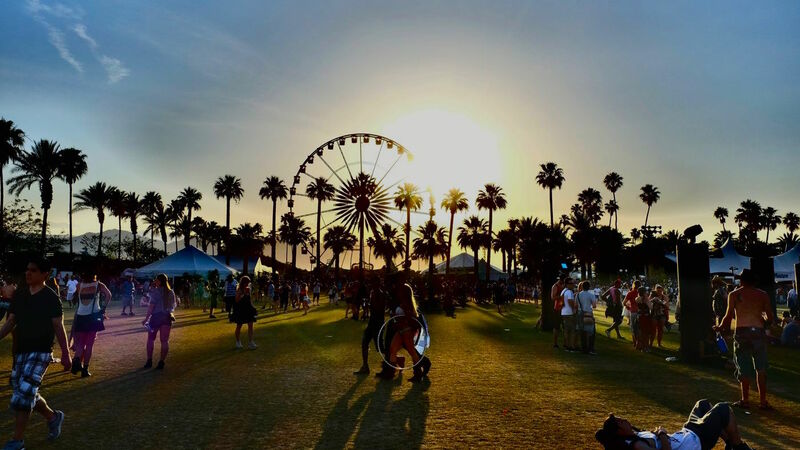 Check out the full Coachella line up here.